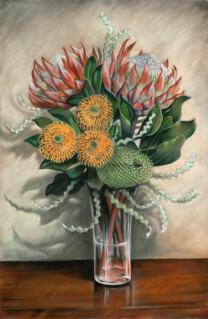 This was painted as a companion piece of Protea I. I love the subtle colors of the flowers. 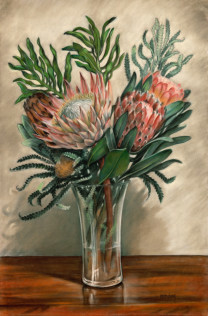 It’s hard to believe that each of these very different blossoms are of the same flora family. I think the orange ones look like fireworks.